Following last weeks tips for backing up data in the event of a disaster and Friday’s tips for physically securing a laptop or mobile device, here are some data security tips to keep your data safe even if the worst happens. Not only businesses need be concerned about data security, with the amount of personal data stored on most laptops, these are precautions everybody should consider taking. Lock your screen whenever you are away from your computer. This stops anyone messing with your settings, reading your private files, sending an email in your name, and so on. It takes just a minute to slip in a USB flash drive and install a key logger, at which point your computer is totally compromised. In Windows, the Windows-L key combination locks the screen. This only works if you have a password on your user account (which you should!). If my laptop is stolen, I will be annoyed, but I can replace it. I can also replace my data from my latest backup. However, I really want to stop the thief accessing my data. 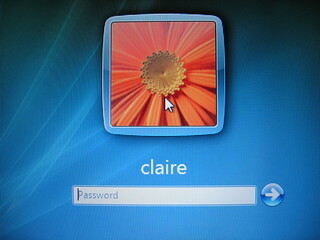 A Windows account with password (tip 1) helps, but can still be bypassed quite easily. For improved data security, you need to encrypt your hard disk. Some Windows versions include the BitLocker encryption module, but I prefer the open source, multi-platform TrueCrypt. This encrypts your entire hard disk, including boot partition, and requires a password to decrypt it before the operating system can start. Use a strong password – and don’t forget it. 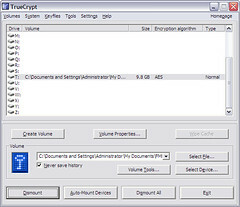 TrueCrypt can also create encrypted virtual drives that exist as single files, hidden volumes, encrypt flash drives, and more.